Enter ONE WORD description, SG No etc. 2019 Colour KGVI & QEII Catalogues on their way! What do the different conditions mean? *For Australia Royal Mail only allows for either send 'Tracked' or 'Signed For' (not both), we will normally send 'Tracked', unless otherwise requested. Royal Mail will NOT allow items to be sent as 'Signed For' to PO Boxes. PLEASE NOTE: for exceptionally heavy or large items (such as year books) extra postage will be charged; in these cases the extra cost will be clearly noted on the item description. All items are sent by 1st Class/Airmail Royal Mail, items valued over £250 will be sent by Special Delivery/International Signed-For (items must be signed for) free of charge. This service can be paid for separately for smaller orders by selecting the 'Priority' options. All orders have certificates of posting and the Post Office will contact you to confirm the details on any items that are lost or damaged in transit. In all circumstances our 100% money-back guarantee applies – if you don’t like it we will exchange it for one you do like or we will give you your money back. The illustrations on the website are intended to show you the quality of the items you are going to receive. In the case of special items the illustration is the item you will receive. Any faults that are not evident from the illustration are described. In the case of general items the illustration is intended to show the standard you should expect – the actual item you are sent may differ from the one shown, but should be to the same standard. In all cases our 100% money-back guarantee applies. We aim to dispatch orders on the day of ordering (if before 12:00 Mon to Fri or 9:00 Saturday) or the following working day however, we cannot guarantee this if other commitments intervene such as stamp fairs etc. Items sent First Class mail in the UK should arrive the following working day. However, Royal Mail do occasionally fail to deliver to this timetable. They state that 10 working days after due date should be allowed before the item is deemed to be lost. For items posted to Europe this should be least 20 working days or 25 working days for items to the rest of the world from the due delivery date (5 and 10 days respectively). If you have not received your item in this time frame please inform us. You may pay by credit/debit card online or over the phone on 020 8657 4851. We accept Visa, Mastercard, Visa Electron/Debit, Maestro Cards and American Express. Our online orders are processed through Realex who have achieved the highest level of compliance under the Payment Card Industry Data Security Standard (PCI). If you wish to pay over the phone, place you order in the usual way and select "Pay by Phone" at the check-out then give us a call on 020 8657 4851 (Monday to Friday 9.00 to 18:00 and Saturday 9:00 to 12:00), please have your order number and credit card details ready including the security code from the back of the card. We can accept payment by cheque payable in GB pounds. Place you order in the usual way and select "Pay by Cheque" at the check-out. 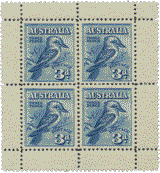 Please make cheques payable to 'Irwin Philatelics' and include a note with your order number. Please allow 8 working days for cheques to clear. All our contact details can be found on our ‘About Us & Contact Details’ page. We also accept payment by PayPal if you have an account. Select 'PayPal' via the payment radio buttons at checkout. Sending credit/debit card details by email is very insecure, so please note we cannot accept payment by this method. If your order for some reason fails to go through our credit card processor and you wish to proceed with the order please contact us for advice. We will ship anywhere in the EU, North America and Australasia. For other countries please contact us before placing an order. Please note, for security reason we only ship to the billing address on the given credit/debit card. Steve Irwin Stamps wants to ensure you are happy with your order. We will accept returns, if for any reason you are unhappy with your order, within 30 days of the order being received. If items are not as described or damaged or lost in transit please notify us as soon as possible. Please notify Steve Irwin Stamps directly before returning any item, this must be within 14 days of the order being received. Items must be returned in the same condition as they were received. We will not process refunds if the items are returned damaged (unless previously notified) or lost on return. If the items are returned in the same condition (unless notified of damage in original transit) we will refund the full purchase price, plus basic postage if applicable, but you are responsible for the return postage. If any items were modified at your request, e.g. separation of booklet stamps, we cannot accept returns. The currency converter gives an indication of our prices in Euros or US/Australian Dollars. This is based on average market rates and is updated weekly. However, you will be charged in GB Pounds so the actual amount you will pay in Euros or US/Australian Dollars will be based on the exchange rate at the time of the transaction and any other conversion charges levied by your credit/debit card provider.